Freedom Rockz: FREE Cappuccino Unlimited Toppings! Did you know Saturday is National Whipped Cream Day? Get a free Cappuccino with unlimited toppings. 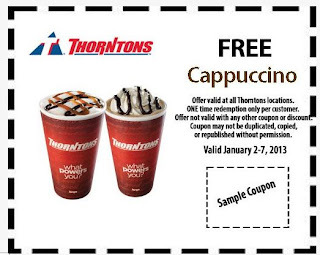 Become a fan on Facebook of Thorntons to get the coupon.